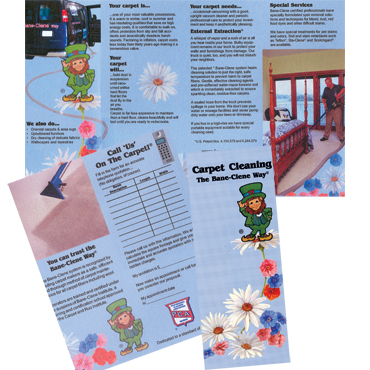 Promote your carpet cleaning business. 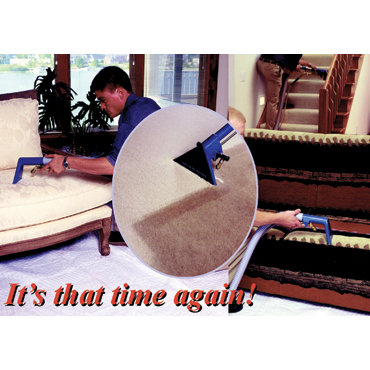 Generate more leads or clients for your carpet cleaning business! 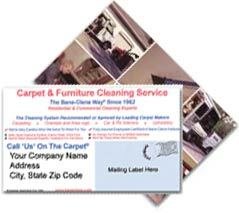 Direct mail postcards for Carpet Cleaning services are an easy and economical way to communicate with potential customers and increase your client list. 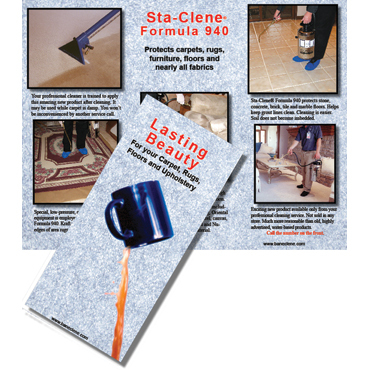 This post card is part of a large arsenal of advertising material designed to promote cleaning services for Bane-Clene professional carpet, rug and upholstery cleaners. The postcard may be personalized with your company’s name, address and telephone number. Don’t just start a mailing program. Plan it first. Demographics are an important part of any advertising program and are thoroughly discussed at Bane-Clene Institute. Register for an upcoming class and profit from the valuable, proven information taught there. Advertising, sales promotion, management, goal setting and operations are all part of the curriculum. 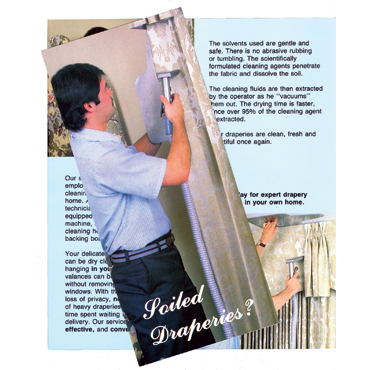 Note: Consumer Postcards are available only to Bane-Clene® equipment owners. NOTE: If you want the literature imprinted, please call with your order. Personalized, imprinted literature cannot be ordered on-line! Size: 6 inches x 4.25 inches. 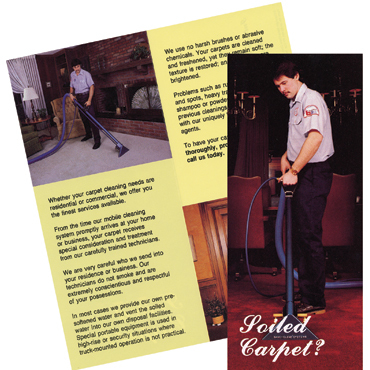 One side of the postcard shows images of carpets and furniture being cleaned in homes and motor homes. Other side has room for your mailing information.